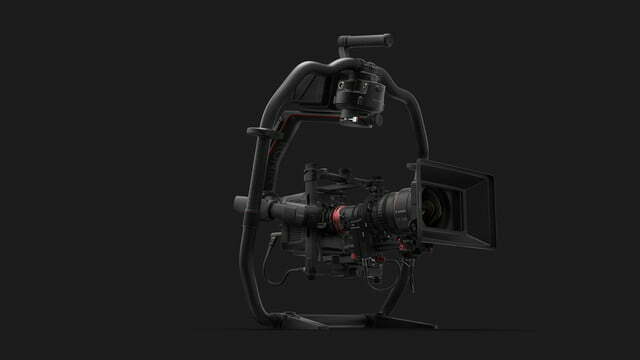 DJI’s pro-level Ronin gimbal is back and geared toward heavier rigs with a wider variety of shots. 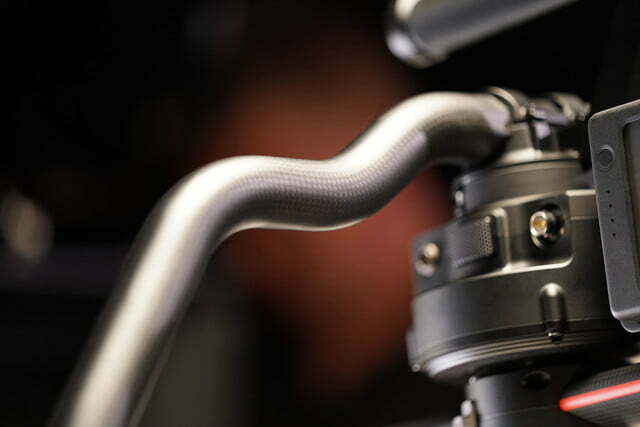 On Sunday, DJI announced the Ronin 2, a three-axis gimbal with enough heft to stabilize DSLRs and big cinema cameras even while traveling as fast as 75 mph. 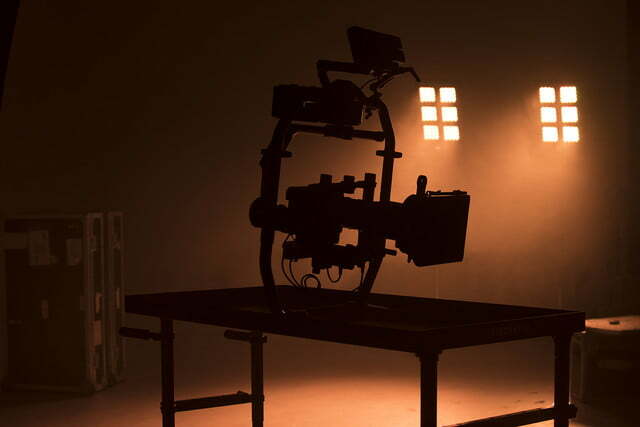 The redesign starts with a larger camera cage, with arms extendable to 50mm to accommodate gear from larger DSLRs to cinema cameras up to 30 pounds. 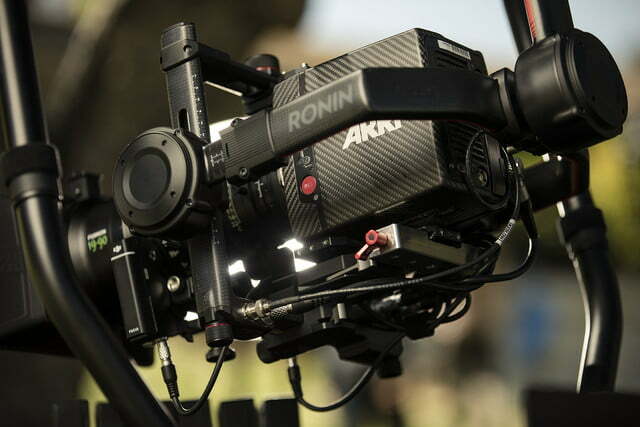 The new motors and an onboard GPS allow the Ronin 2 to stabilize the camera even when it is moving as fast as 75 mph, DJI says — so recording speeding car chases is not out of the question. 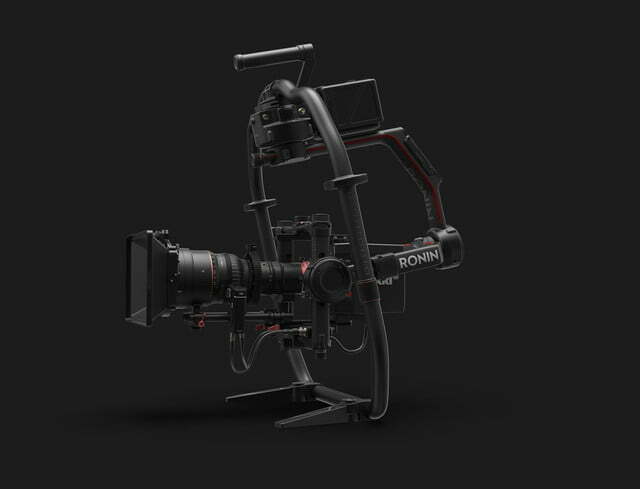 The Ronin 2 is designed for versatility, whether that is attaching the rig to a jib, cable cam, car or drone, or of course shooting handheld. 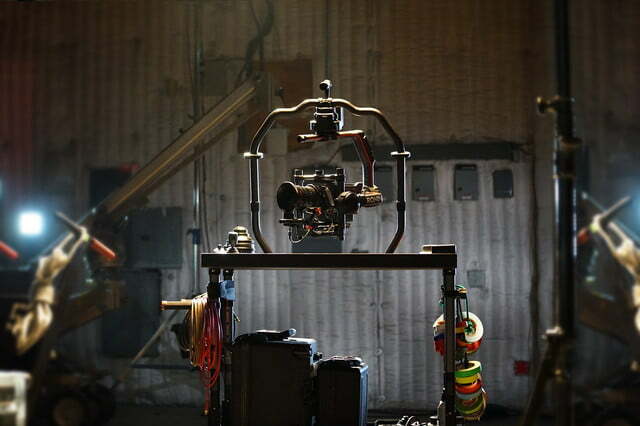 The gimbal can also be paired with a Steadicam inside a two-axis mode for more moves, DJI says. Within those shooting scenarios, a quick release mount makes swapping simpler while axis-locking levers and tuning knobs allow the rig to balance heavy loads faster. 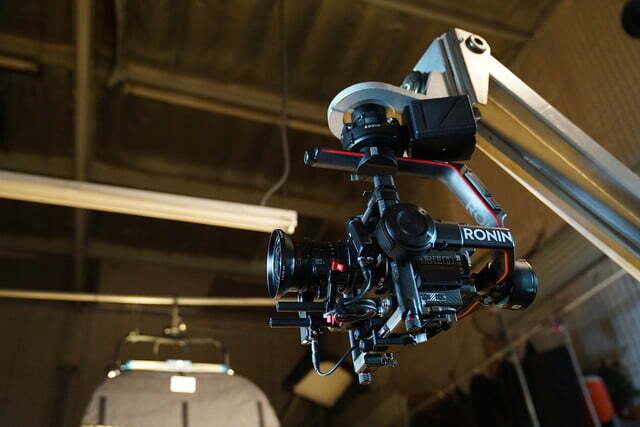 That versatility also extends to the Ronin 2’s new shooting modes. A panorama option shoots images to stitch, based on user-defined parameters including how much each image should overlap. 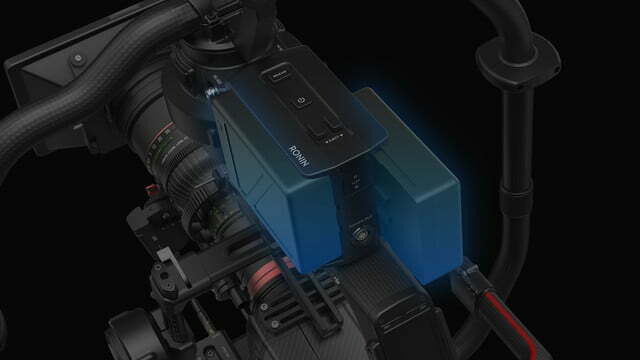 Controlling the camera’s position during extended time lapses is now available inside the time-lapse mode. 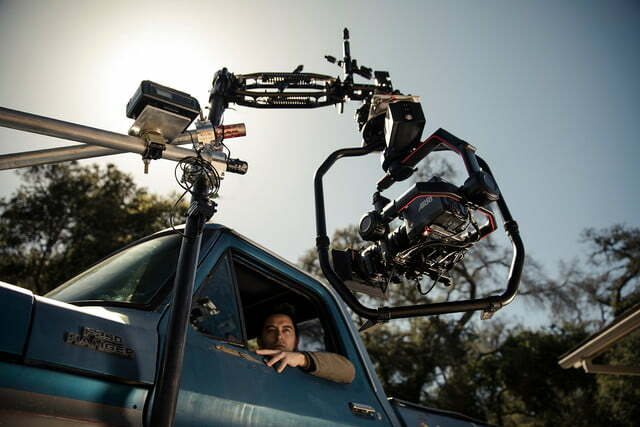 And for shooting in favorite locations, a CamAnchor feature saves the gimbal’s position for quick recall the next time you shoot at the same spot. 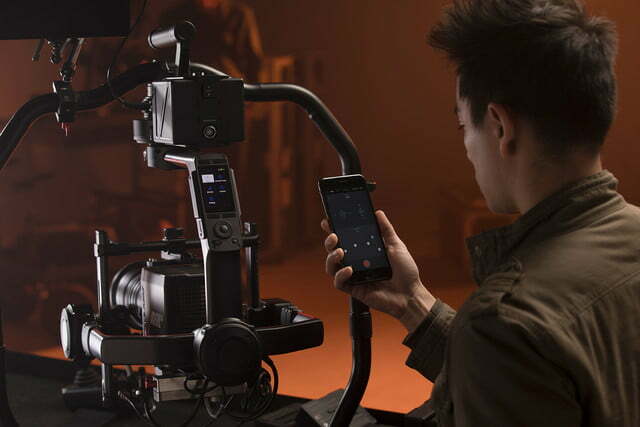 The camera’s updated SmoothTrack algorithm fine-tune’s the camera’s movements, accessible through the updated DJI gimbal assistant app. 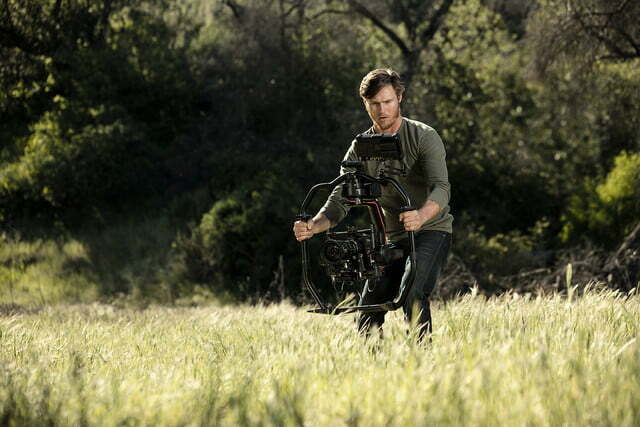 DJI says those algorithms now include pre-programed studio functions, making it easy to implement different cinematic camera moves. 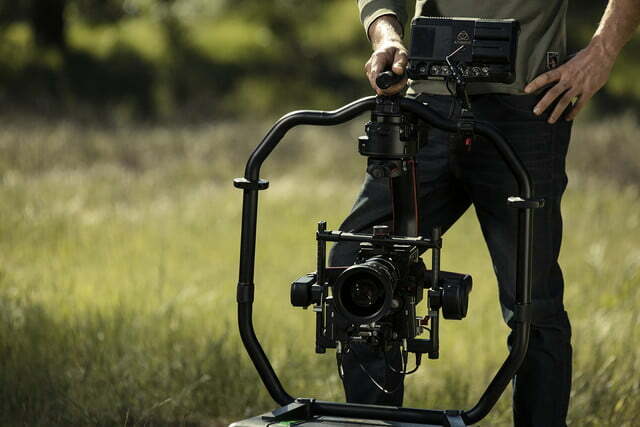 Balanced on a carbon fiber frame, DJI says the new construction allows the rig to remain both lightweight and durable. 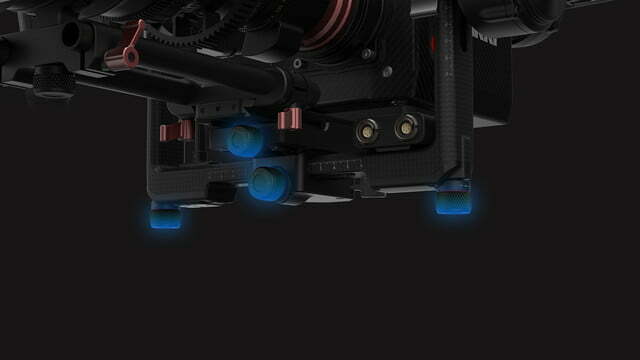 The gimbal’s motor is encased in a splash-proof housing for keeping everything dry. 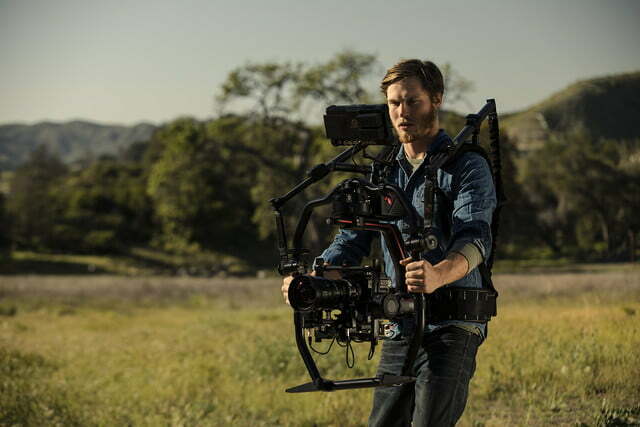 Dual batteries power the gimbal and the rig can also power the camera, with a battery life rating of 2.5 hours when powering both the gimbal’s electronics and the Red Dragon cinema camera. 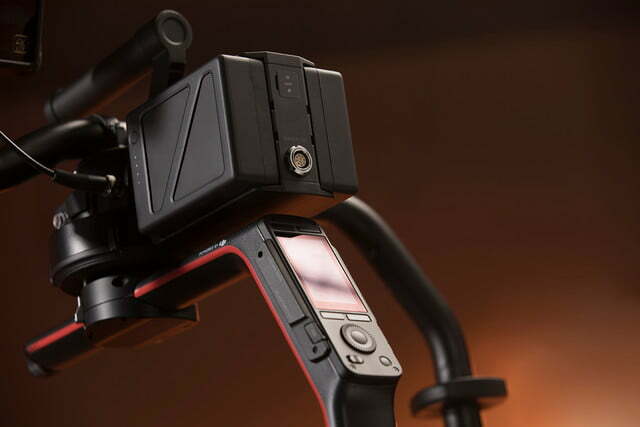 The batteries are hot-swappable, which means that you can swap one out while the gimbal continues recording powered by the second battery, with no gaps in the footage. Four 14.4-volt, two 12.6-volt, and one P-Tap 12.6-volt outlets allow the system to accommodate other accessories without a separate power system.